Pancake recipes usually call for milk. 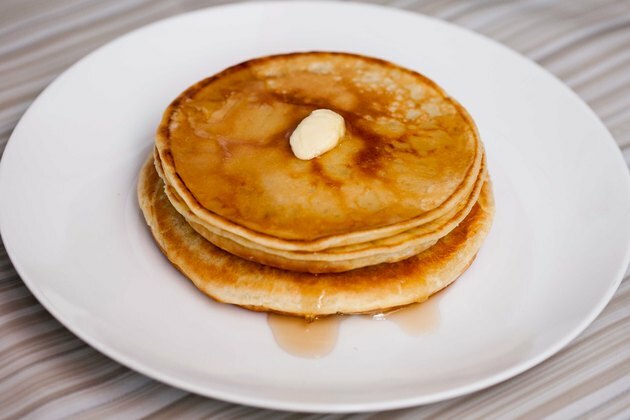 If you have someone in your house who can't or won't eat milk products or you are trying to eliminate dairy foods from your own diet, pancakes made with other liquids can be just as good as those with milk. Use your favorite pancake recipe with a number of options. Generally you won't have to make any other adjustments unless you add an acid such as fruit juice. In that case, add 1/4 tsp. of baking soda to the recipe. Choose from soy milk, almond milk, rice milk, light coconut milk or any other nondairy milk available in your grocery store. Replace the milk called for in your pancake recipe with any of these liquids. Replace the milk in your recipe with water. Because milk adds flavor to the pancakes, add additional flavor to pancakes made with water. Try vanilla, blueberries, raisins, nuts or lemon zest. Try using half water and half orange juice instead of milk. Add 1/4 tsp. 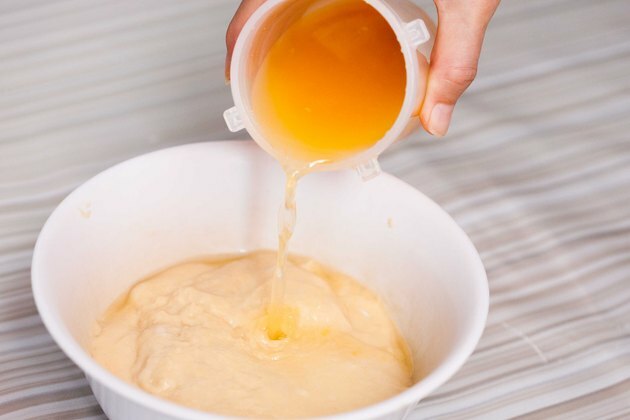 of baking powder to your recipe if you add orange juice. 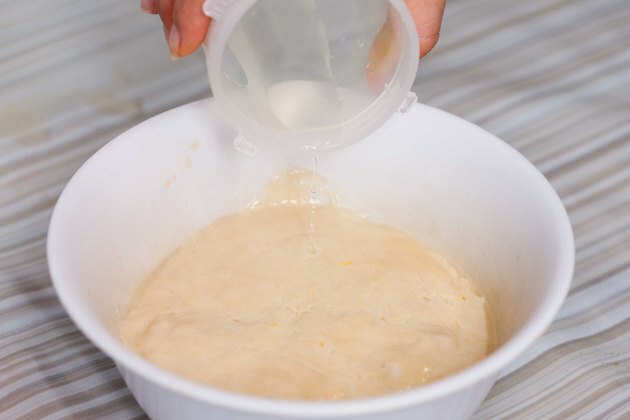 Use apple juice or white grape juice to replace the milk in your recipe. This works really well with whole-grain pancakes. To balance the sweetness, omit the sugar called for in your pancake recipe. Pancake recipes are actually pretty flexible. Feel free to experiment with different liquids, but don't change the measurements called for in your recipe.